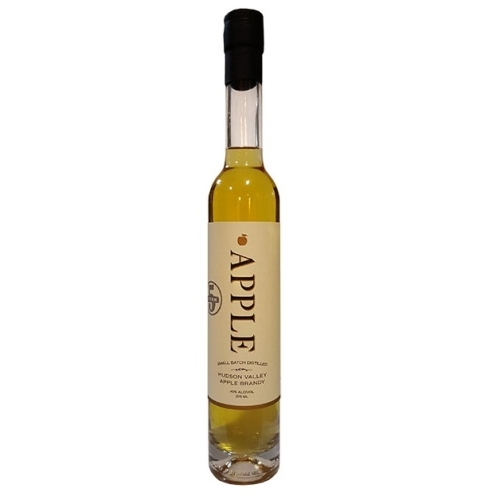 The family behind Harvest Spirits has a long history of apple growing in the Hudson Valley. Established in 2007, the distillery was founded to preserve this heritage. Harvest Spirits is still a family-owned and operated business as well as a vertically integrated operation with independent distribution. Given their history, an intrinsic link to homegrown and local produce comes naturally, and their bold, innovative and unique products are inspired by this diverse and abundant harvest. Conveniently located on a 200 acre apple farm in Columbia County. Open daily 10 - 5 pm. Tours on weekends only. Aromas of apple blossom and creme brulee lead to a balanced mid-palate with a dry, vanishing finish. Distilled twice from homegrown apples. 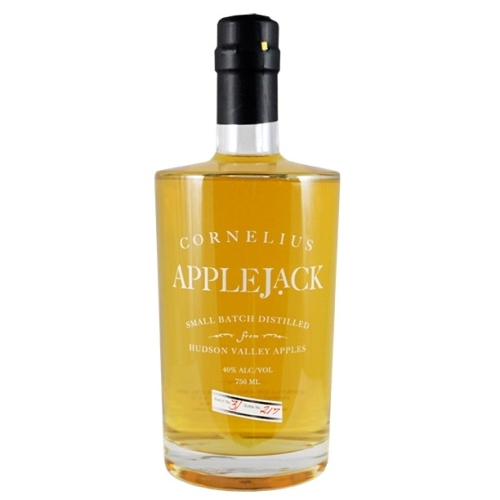 Aged for 3 years in charred American oak barrels, Cornelius Applejack is made from 100% apples - making it a brandy that tastes like bourbon. Distilled twice from malted barley. 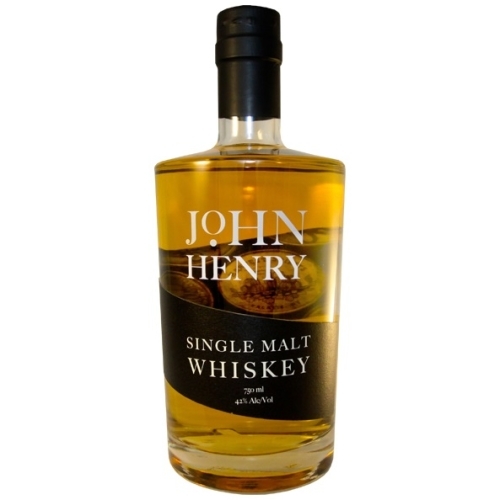 Aged both new charred American oak and re-fill applejack barrels, John Henry is smooth, fruity and malty. Reminiscent of a Highland Malt. 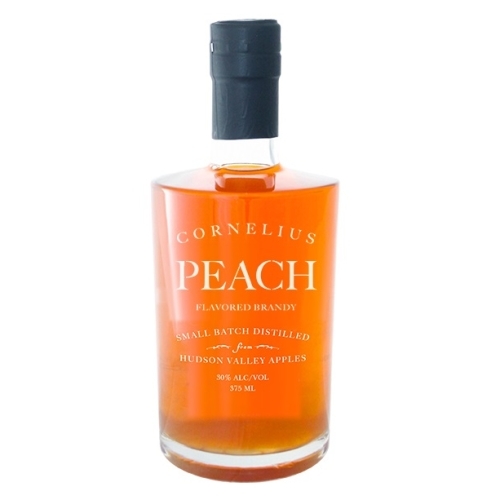 Made from fresh apples and peaches. Fresh, hand-crushed peaches are soaked in our own Applejack for a full year, then pressed and bottled. No added sugar. Gluten-free. 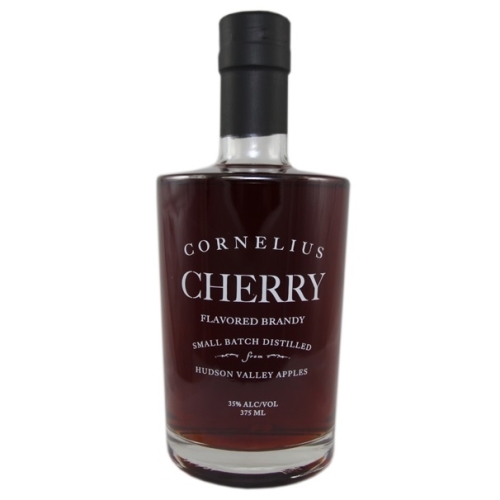 Made from fresh apples and cherries. Sweet Western New York cherries are soaked in our own Applejack for 1 year, then pressed and bottled. No added sugar. Gluten-free. Made from fresh apples and black raspberries. 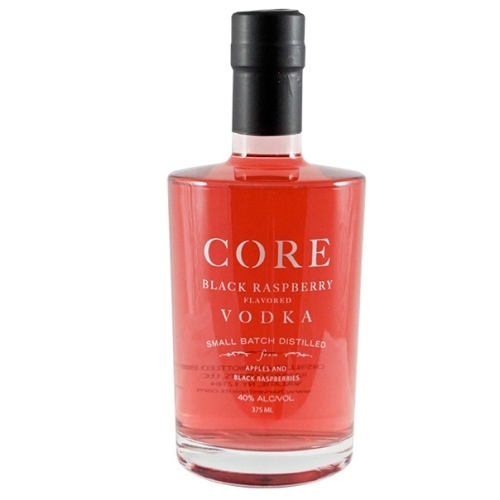 Our homegrown black raspberries are soaked in Core Vodka, then distilled agin and bottled with a touch of the original berry juice. 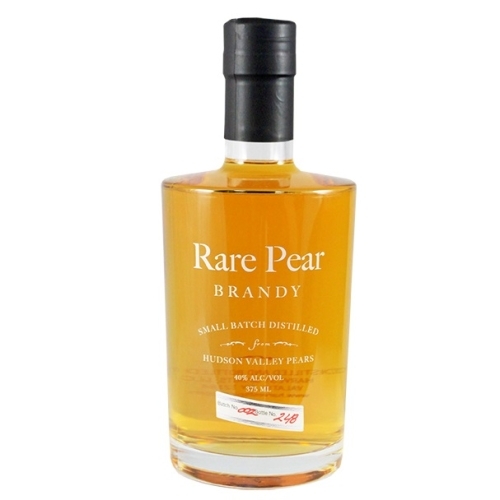 Made from fresh Bartlett pears. Fermented and distilled on the skins for maximum flavor and aromatics. Mellowed in American oak casks. Each bottle is made from 20 lb. of fresh pears. 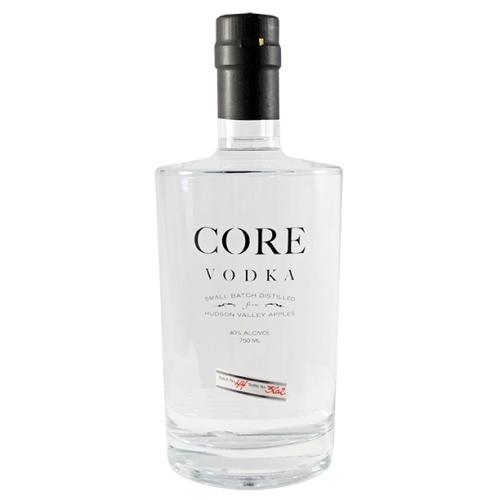 Distilled twice from homegrown Fuji apples and aged over 5 years in bourbon barrels.